Cassandra Ellis: Off we go! We'll we've done it. 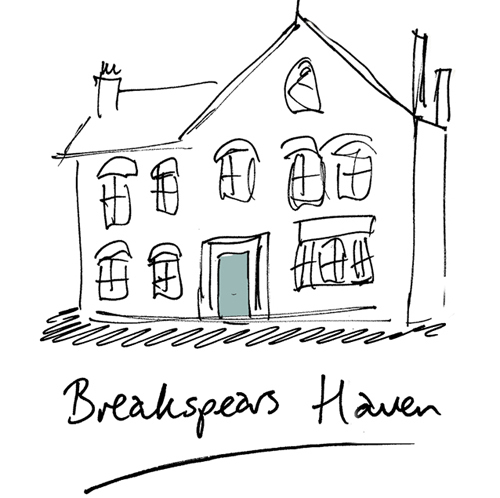 Today is the day we launch Breakspears Haven. Breakspears Haven is a CSR project to transform a Centrepoint service into a haven for homeless teenage mothers and their children. We aim to do this through cost-effective, soulful design that offers much more than a functional environment. Centrepoint provide an amazing service helping homeless young people. I wanted to redesign the environments they live in, into havens so that they have a chance to know what home is, and can be. The very lovely Sarah Beeny is our patron - which will help me enormously and she was such a great person when we met. We need furniture and fittings and we need tradesmen and labourers. We of course will be making quilts so we need lots of volunteers to make individual patches, but there is so much to do. So, please visit the website. If you want to be kept up to date please send me your email address. And of course it goes without saying that I would be very grateful if you get in contact with any friends or family that may be able to help. Such a wonderful project, coming from a wonderful woman..! It sounds like life has been treating you well, Cassandra. I'm so glad. Thanks Maria. Fingers crossed I can pull it off!